Happy Friday! 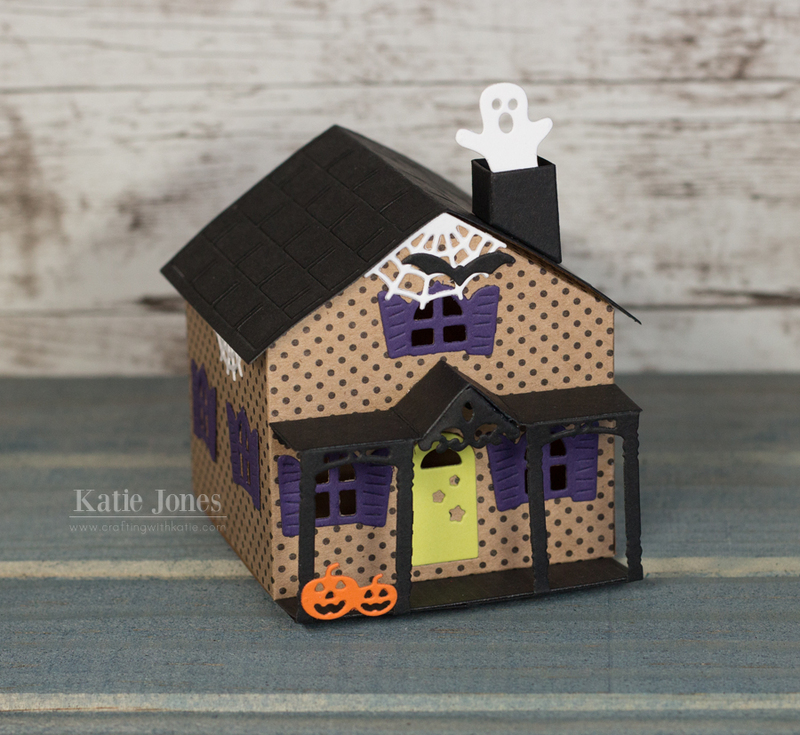 I just wanted to share this cute little haunted house that I made for my niece's dorm room. I used the Papertrey Ink Tiny Town: Basics dies, along with the Tiny Town: Spookville set to turn it into a haunted house. I also used the Tiny Town: Square Shingles for the roof. I just love this little Tiny Town collection. You might remember the schoolhouse I made last month. They keep making add-ons to turn the house into something new. So fun!